Growing up in Easter Ukraine, where 86% of the people are ethnically Russian, I noticed a common thread. Majority of people have green eyes. And it's not a 50%, or 60%, it was more like 70% and above. blue eyes could be seen, but were much rarer, and brown could be seen, but also in rare form among ethnic Russians, especially those who did not exhibit Asiatic mixing. This is not only seen in my part of the country. West Ukraine and Russia also show a similar trend, with green eyes being the dominant trait, and something we have always attributed to the Slavs. Polish being so close to the Anglo Saxons I'm sure would show a greater number of diversity. But has anyone else noticed a higher frequency of Green eyes among Poles or another color. My Polish daddy was actually born with one blue & one green eye. The majority of our family has blue eyes. My sister has light Green eyes. Don't know where she got those from. My daddy had blue eyes, and his momma and daddy had blue eyes. My mom's family all has light brown or blue eyes. my husband and his fathers side all have green eyes. They probably came over from Russia a long time ago. 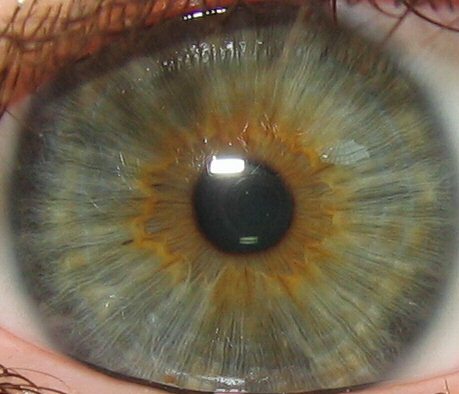 There is an interesting eye colour in Poland- it is like a brownish amber colour- really striking. I have never seen it until I moved here. Ok, not trying to offend anyone. but I have always considered Green eyes to be associated with Slavic people. My family has predominantly Green eyes, with some blue and brown eyes. We always thought this feature came from the Slavs. Mostly it doesn't. I have very green eyes by the way. Another unusual thing in East Europe is red hair. It unusually suggests Northern European origins. over 70% have light eyes (blue, green, gray) the combination of gray eyes and ash blond hair seems to be a Slavic trait, at least the northern Slavs (West and East). Another unusual thing in East Europe is red hair. It unusually suggests Northern European origins. Lots of Turkish people have red hair. Visit Scotland or NI and you'll really see it. In Poland you don't often. I must say I've never noticed much in Central Asia or Turkey. Green eyes among Poles or another color. my dad hazel, Me Hazel, my brothers hazel, so our eyes change color with the sun/sky or mood I guess..
my eyes have changed from sea blue to green to light brown, to grey so I dont have specific eye color I have like four eye colors. I've got bluish green eyes, father has baby blue eyes, mom, sister brother have green. Almost all people in my family have light eyes. Why is Europe so diverse when it comes to eye or hair color? In other animals, bright colors are usually due to sexual selection. Sometimes the result may be a "color polymorphism" (see box). This is because a potential mate is attracted not just by a bright color but also by a rare one that stands out from the crowd. By enhancing reproductive success, however, such a color will also become more common and less eye-catching. Sexual attraction will then shift to less common variants, the eventual result being an equilibrium that maximizes color diversity. I as a southern Slav have one blue and one brown allele, dominant is mom's brown, so I have brown eyes. Having slightly below 50% of light eye colors (blue, green) and more than 50 % (lighter brown, darker brown, my sister's devil black without pupils ;)) of darker colored eyes, south Slavs seem not to have preferences when it comes to color of eyes. I heard pro brown (passionate) and pro blue (dangerous) voices, which supports above mentioned explanation of diversity. Nothing stands out from the crowd here. Only very light hair color. So it is unterstandable why most women here when they color their hair they tend to choose light blond nuances. Could you not to write some eyewash here?Majority of people in Eastern Ukraine are officially Ukrainians not Russians,it is only their language that is ugly mixing of Ukrainian and Russian or in some regions more pure Russian lang.The only region of Ukraine is Crymea where ethnical Russians constitute absolute or at least relative majority of population. (Soon it will be Tatars).In other regions far from it. The green eye colour is not predominant among Slavs.Far from it.Blue and even brown are more common.Grey is common too.Natural redheads are not uncommon among ethnical Ukrainians and Russians.I do not think it is necessarly linked to Western Europeans. Either I'm not very eye-sharped or green eyes are rare here in Russia. Typical colours are blue, brown and grey I think. I have blue-grey eyes. 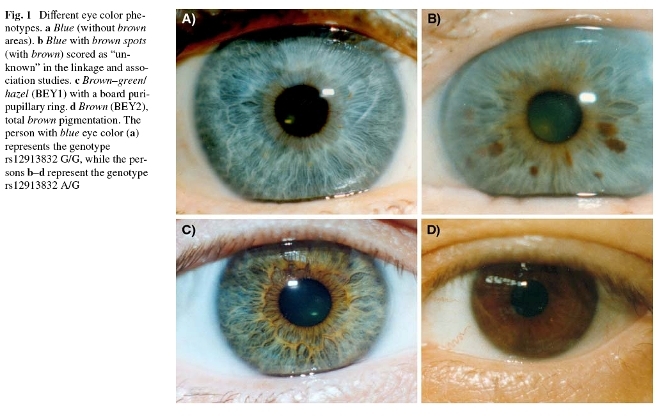 I get the impression that Poles generally have either blue or brown eyes, with the former being more common. I have dark hazel green eyes, but I'm not ethnically pure, as it were. When one parent have brown eyes and the other blue, there's a great probability their child will have eyes like you do. you mean grey. Blue are not common. One must be naturally ultra blond (or oppositly - pure black hair) to have clear blue eyes. Yeah, I know, I was just kidding about eye colour being somehow significant. For the eye colours in Poland, I'd imagine we would get a bell-curve on a light-to-dark axis. Same with hair and skin types, with the very darkest Poles having dark brown or black hair and deep olive/light brown skin and the very lightest having ginger hair and freckles, and most people falling somewhere in between. So too, I expect only a minority of people to have the very palest of eye colours and the very darkest tar-black eyes, and for most people to be somewhere in the middle. Depends how many children you have. One will have blue, the other brown. 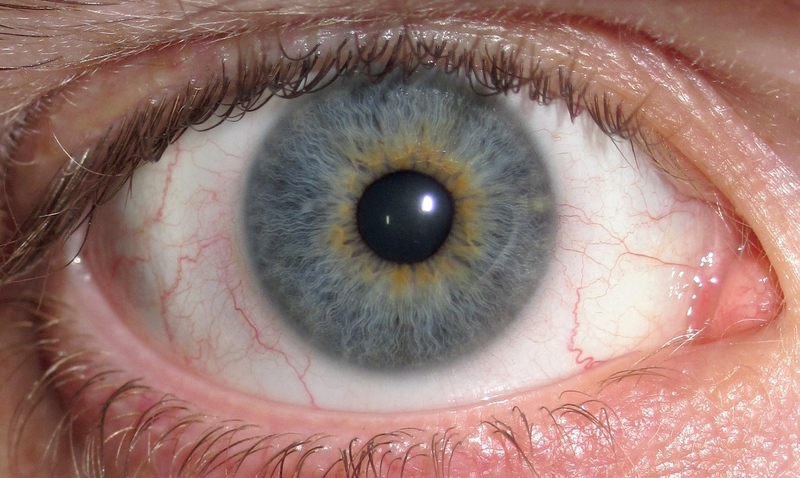 In entire world blue eyes seem to be more common than grey ones.Still grey eyes are more common in Russia,Finland and Baltic states.But even there they may not be more common than blue or blue-grey.You need to provide reference if you want to state the opposite. I think you should define what grey eyes look like. For me grey eyes= not crystal clear blue eyes. Simple enough? Where did you get this gem from? Or was this just another unscientific observation of yours? I see that most people have problems with telling apart colours. I'm a woman so believe me. Just read a bit about make-up, styling etc, the you will know that there are some features about people's look which go along together. Basicly there 4 main kinds of look (consisting of: hair colour, eye colour and shade of complexion): winter, autumn, summer, spring. Of course there are exceptions in every rule. It might happen that a person with golden/brown hair have a clearly blue eyes, but in mostk cases it's greyish or greenish blue.